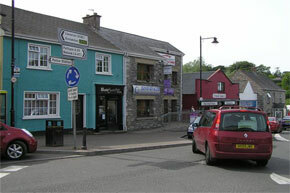 The beautiful village of Kesh is located on the shores of Lough Erne. Primarily a fishing village, Kesh still manages to retain an marine atmosphere. 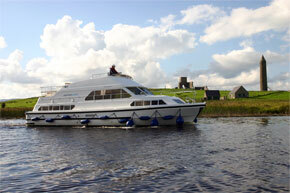 There are many holiday homes on the shores of the lough, and boating on the lake is a popular pastime. 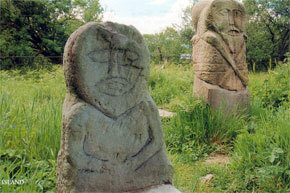 Although known as a fishing village, the village is close to the Janus figures on Boa island, thought to be pre-christian sculptures. Also nearby is white island, which has the ruins of a 12th century church containing six stone carved figures, believed to be St. Patrick, St. Columcille, King Leary and his son Enna. Of the remaining two figures, one is believed to be sheela-na-gig, a female fertility figure. Lough Erne provides some excellent fishing and boat hire is available in the village. Just outside the village is Muckross Quay, a spectacular entry point to Lough Erne which is extremely popular with fishermen. Kesh has a history of producing some fine specimen catches, with Trout of over 19lb and Pike of almost 40lb being landed here in the past. 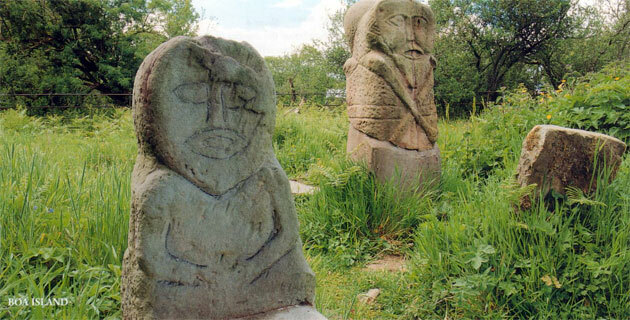 Boa Island Figures: A ferry is available from Lustybeg to Boa Island, home of the famous stone carved Janus figures at Caldragh, believed to be pre-Christian. Tully Castle was built in the early 17th century by Sir John Hume, but was destroyed by fire on Christmas day in 1641. The seventeenth century garden has undergone considerable refurbishment. White Island has the ruins of a 12th century church. There are some interesting architectural features to the church, such as the Romanesque south door, but the most interesting feature of the church are the six stone carved figures, believed to be St. Patrick, St. Columcille, King Leary and his son Enna. Of the remaining two figures, one is believed to be sheela-na-gig, a female fertility figure. Castle Archdale was originally a plantation castle, but was destroyed in 1689 and subsequently became a wartime airbase. 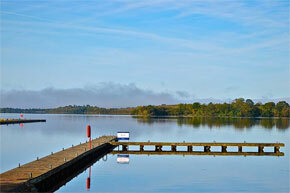 The castle grounds boasts a marina for boating and many lovely walks and nature trails through the country park. The Palladian house which once stood here has been demolished and there is an exhibition centre in the old farm buildings of the house.